This acryl painting is still work in progress. 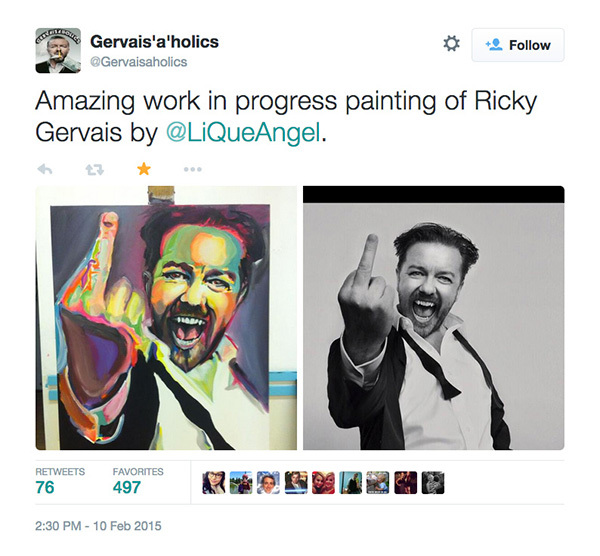 Last february 10th, the fan account Gervais’a’holics picked up an earlier wip photo from my account and tweeted it enthousiastically. It got quite a bit of retweets and an enormous amount of favorites. And the day after it even got retweeted by @RickyGervais himself! 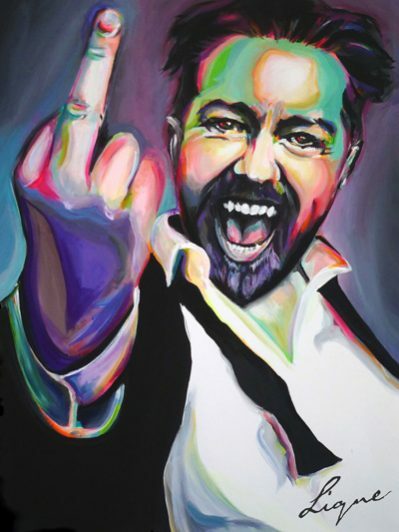 Now I have to find a way to get him to receive this painting personally. If you know somebody who knows somebody who knows Ricky, let me know.